A writer who keeps company only with him or herself while editing their written works is partying with a fool. It takes the eyes of another soul, the eyes of a reader, who will oversee the birth of a novel with both a critical eye, and with a heart for the author. I am blessed to have such readers among my dearest friends. This page is dedicated those editor-friends who keep me honest, who keep me inspired to push on, and who (by their intelligent insights and comments) have helped to turn Martha's Vine from a cute story into a gripping saga. Thank you. David is my beloved husband of nearly 25 years. He has remained in my corner, through all my life's trials. He is doing the same thing for Martha. Everyone should have an editor as thorough as David. 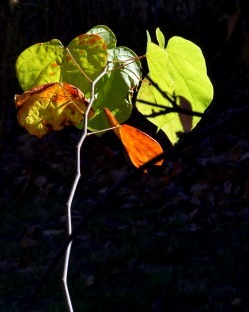 He is a talented artist, photographer, and writer, too. He just finished writing his 2nd novel. Oh, yes, he is a magician and a comedic actor, too. Aaron hails from Rochester, New York. 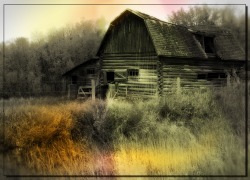 He is a talented artist and photographer. Aaron is one of my closest friends. He agreed to read Martha's Vine but I had to agree to keep him interested. So far, so good. Aaron's gut-level observations are incredible. One of his comments completely turned the novel around. As a writer, it's so important to know there is someone who will pick you up when you are falling down. Aaron has done that for me many times. His humor helps redirect me when I feel like I can't type another word. I have the deepest respect for his commitment to Martha's Vine. In addition, because of him, I no longer fear guns. (He is one of the top sporting clay shooters in New York State.) He gave me the exact right tips to help me get past my fear. I am very grateful for his friendship. Every woman needs a Renaissance man in her life. And Rob is the perfect candidate. We have been close Flickr friends for many months. Rob lives in Ohio. He is a thespian, with a terrific sense of humor. But besides that, he has an easy manner, and he is the kind of friend you hope to find in the trenches with you. For more than 40 years, Rob has had a career in theatre as an actor, producer, director, and singer. He has also worked in publishing, radio & television, film, and special events. I took a chance and asked Rob if he would like to be one of my readers/editors -- luckily, he jumped at the chance. Besides his never-ending support, Rob gives me "alerts" . . . like grin alerts, nodding alerts -- it's when I've written the same thing too many times. Rob never lets me get away with it. 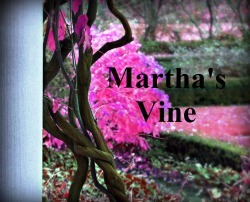 Rob's insight into Martha's Vine has been invaluable to me, and I am indebted to him for his help.